Are you looking for removal services in Homerton, E9 that aren’t going to leave you high and dry on moving day? Do you need to find low prices, professional moving help and friendly movers? Are you living in the area, and need help with moving furniture? Moving Service is the best company in town for your relocation, and we can help you with all of your removals problems without you needing to worry! Our company specialises in lots of different types of moving services in Homerton, including office removals, furniture removals and more! If you want reliable, professional and affordable help with your house relocation then you don’t need to look any further – just call our company today on 020 8746 4402! Affordable Help for Your Move! When it comes to removal companies we’re the best in the area, and with our great selection of different services you’re guaranteed to find the help that you need! It’s no secret that moving to a new house, area or office can cause you a lot of stress, so why not invest in a company that can provide you with invaluable help and support? Our services are ideal for man and van hire, heavy lifting, van hire and more, and we can ensure that your moving day is an easy and stress-free venture for both you and your family! 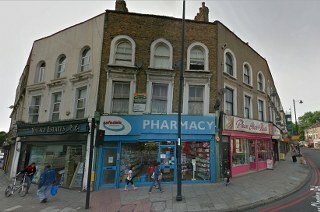 The area can be found in East London, in the London Borough of Hackney. It has a rich history that can be traced back as far as the 14th century, though some people believe it to date back as far the 12th century. Nowadays, it is a district with great cultural value, and is home to the fantastic and well-regarded Chats Palace arts centre, which showcases many different art forms, including music, theatre, comedy and dance. The area is becoming a more and more popular place to live thanks to its excellent transport links, which include the London overground stations of Hackney Central and Homerton. The area is in close proximity to many other popular London locations, including Hackney Downs, Lower Clapton, Bethnal Green and Hackney Marshes. With a strong sense of community and with a deep history to explore, this is a wonderful and vibrantly exciting place to call home. Choose Our Homerton Removal Company for Your Moving Day Today! Moving Day Help for You and Your Family - Moving Service offers affordable prices and competitive costs for our professional, reliable and experienced moving services in Homerton, E9. With our teams of friendly professionals helping you with your move you’ll have absolutely nothing to worry about your relocation day! There are lots of ways in which we can help you, so why delay? Say goodbye to all of your moving worries, fears and concerns in Homerton by getting in touch with one of our team members today – just pick up the phone and call 020 8746 4402 right now! Our specialists have the knowledge and experience that can keep you stress-free when you move, whether you’ve been worrying about your moving truck or lifting your heavy furniture, and with our experience and knowledge you can have the efficient and speedy move that both you and your family deserve! There’s no end to the benefits of hiring our company, and with our cheap moving help you’ll get reliable services, friendly team members and a cheap price tag that you’ll love!